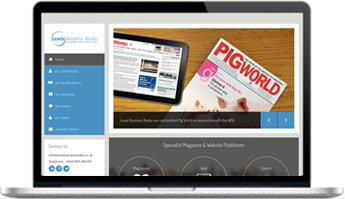 Lewis Business Media Ltd (LBM) was formed in February 2012 by the Lewis family. Based in Uckfield in East Sussex, the business is now a multi-platform media business operating in a number of B2B markets. It has grown rapidly from nothing to a substantial business employing 20+ people around the world and with a large network of contracted freelancers. Lewis Business Media’s philosophy is all about reader engagement. We provide opportunities for our readers and users to enhance their knowledge and awareness and develop their companies and careers as appropriate across all the markets in which we operate. These opportunities range from live events, such as awards, round-tables, conferences and exhibitions, though websites, newsletters, social media, on and off-line training programmes as well as traditional print media. LBM operates with a combination of permanent and contracted freelance staff and has a wide network of writers, designers, salespeople, event managers and digital experts with experience in many different markets which it calls upon when required. This allows LBM to respond quickly and appropriately to clients’ needs whatever the industry and whatever the budget.